John Wesley believed the Lord's Supper to be “the grand channel whereby the grace of his Spirit was conveyed to the souls of all the children of God” (Sermon 26: "Upon Our Lord’s Sermon on the Mount VI", §III.11). This is one of the reasons he received the sacrament at least weekly most of his life. He received daily during the eight days after Easter and the twelve days of Christmas. The Wesleys strongly emphasized the importance of Holy Communion and helped to bring about a sacramental revival in the eighteenth century. 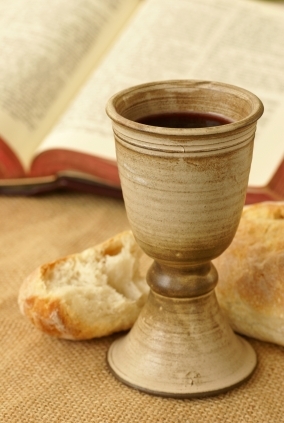 The Consultation on Online Communion tells me that pastors are looking for ways to increase availability of the sacrament to their congregation. That's a good thing. My reading of Wesley tells me that weekly Communion at the principal worship service is the minimum for a Wesleyan practice of Holy Communion. However, a Wesleyan practice can never include virtual worship or virtual sacrament. Discipleship in the Wesleyan tradition is necessarily communal and relational. It requires Christians seeking to grow in holiness of heart and life together through regular gathering together for worship and in small groups to watch over one another in love through mutual support and accountability. The Wesleyan Way requires Christians working with one another in settings where they can see, hear, smell, touch, and embrace one another. Mr. Wesley is very clear on this. I think Wesley would regard the practice of online worship and communion as akin to the individualistic spirituality practiced by the Mystics. Such practice is contrary to the nature of the Triune God and the Gospel of Christ. Christian faith cannot be isolated from Christian community. While it is deeply personal it cannot be private. This is why Holy Communion requires the physical community of the Christian congregation. The congregation gathers in the name of Christ to offer themselves, as a physical body, in service to the Triune God through praise, prayer, song, Scripture, proclamation, and thanksgiving. Worship is physically performed together for God. Persons watching a television or computer display may observe and listen to the worship of the congregation, but they cannot participate in the liturgy because they are physically separated from their sisters and brothers in Christ. They may certainly experience blessing and comfort through listening to the songs, Scripture, prayers, and sermon. Such activity is an act of personal devotion similar to what Wesley called “the ministry of the Word.” To participate in worship, however, requires physical presence in the congregation where my voice can be heard and I can reach out and take the hands of the persons seated near me. By all means let's make our practice of the Holy Communion more Wesleyan. This can be done by moving toward including the sacrament in the weekly Sunday worship services, and other times during the week. Use and teach the United Methodist ritual found in "A Service of Word and Table I" found on pages 6-11 of The United Methodist Hymnal. Such teaching and practice will help congregations understand that the Wesleyan altar call is the invitation to the Lord’s table. Steve's entire post can be read here. I absolutely agree. With the minister present in the congregation every Sunday (unlike in the UK where lay preachers take a lot of services) there is no reason not to do so. It won't happen, though. Because people will think it's "too catholic" and it won't appear to church consumers. "appeal" even - not "appear"
I'm a member of First United Methodist Church in Pensacola, Florida, and we have gone to weekly communion in all services. It started with one, than two, and finally became the standard for all. 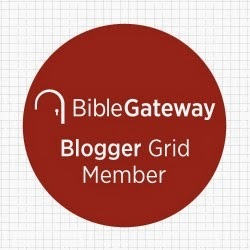 I'm publishing some posts by one of my authors on communion. You are absolutely right. The low church Zwinglian Methodists will play the Catholic card every time. What a blessing for your congregation.